A specialized crew, with its own full set equipment, gives a turnkey service for installation at exhibitions. We follow an efficient schedule of activities in a fast and simple way. 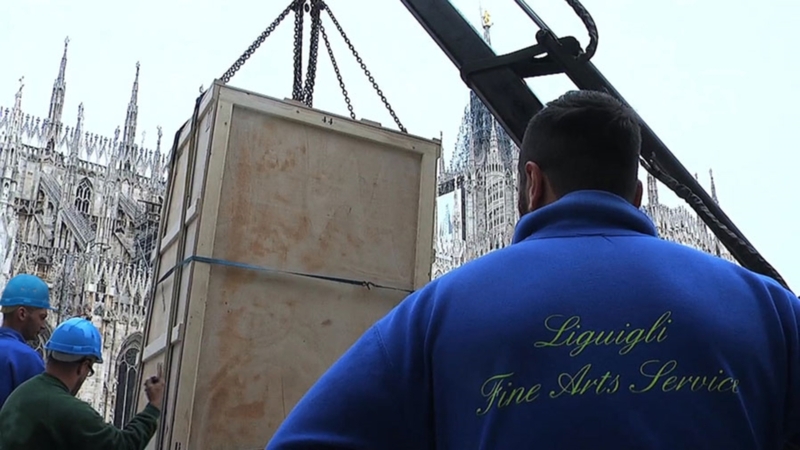 The whole art handling service, including the placement of special sculptures, is always carried out considering the requests of couriers and all other professionals involved in the exhibition production. Our art technicians are experienced in handling all aspects of exhibition installations and all kinds of movement and placement. Our art technicians are equipped with a carefully selected range of tools in order to cover all aspects of the set-up phase. In particular cases, our team cooperates with our engineer in charge to certify any site-specific built structures.